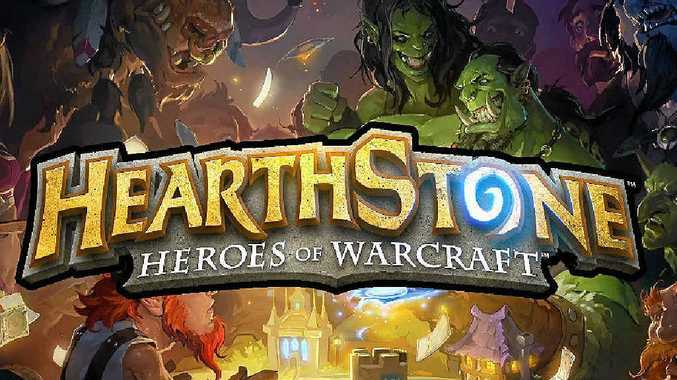 Blizzard have taken Warcraft and turned it into a card game. HEARTHSTONE is the first big-name game in a long time that's been friendly to the schedules of people who work, have kids, and have the urge to game. Gaming juggernaut Blizzard have taken their Warcraft IP and turned it into a collectable card game (CCG) that plays like a simplified version of Magic: The Gathering (M:TG) - and it just works so unbelievably well. If you're new to this, let me explain. In a CCG you and your opponent build a deck of themed cards to defeat each other with. Usually there'll be some combination of themed creature cards, spell/ability cards, and mana cards. You use mana cards to play creatures and use spells to attack or frustrate your opponent. You win if your opponent loses all their "health". You may have noticed, they're not the simplest games to play. They are, however, the most time-cheap to play, with most games taking anywhere from five to 15 minutes. Blizzard have brought in nine classes from World of Warcraft, with each having their own style of play. Do you like quick, tricky strategies? Play as Valeera, the Rogue. Do you like flexibility and responsiveness? Play as Gul'dan, the Warlock. There's a lot to love here with graphics that will run on a toaster (you're playing cards in a Warcraft tavern), and so much replayability that it won't be a surprise to see this game still being played in five years' time. The game is free but like with most free-to-play games you can accelerate your progression with cash. You can unlock new cards just by playing, but it is slow. You can also unlock new cards by purchasing booster packs in game. This is significantly faster but random. There are people who feel like they're being locked out of high- level play because they can't afford to quickly purchase high-level cards, but even then, better cards don't mean you'll play any better. There is a professional scene already for Hearthstone, with constant money-prize tournaments going on all the time. Check out Twitch.tv for streams from professional players. This is a great game for casuals, hardcores, and professionals alike. Give it a shot. Quick, sneaky and can kill you without warning. Currently famous for the Miracle Rogue deck that can make pro players cry. Mind games and holy light make Anduin a lot of fun. Not the strongest class at the moment but if you make one mistake against him he will punish you, rest assured. Will burn your face off every time. Again, not the most powerful class but has an answer for almost everything. Natural might and staggering consistency. Easily the most reliable deck in the game and more than capable of taking you to high-level play. Fast or slow, it doesn't matter, you'll probably win. Despite recently being toned down slightly, this is the easiest deck to play well, but everyone will hate you for it. Sacrifice your demons, win like hell. Famous for two of the best decks currently in play, Zoo and Handlock. Holier than thou and packing heavy ordinance. Possibly the weakest class right now but most likely it's because his strengths haven't been found yet. Complex decisions and terrifying attacks. This is an extraordinarily strong deck that rewards those who learn how to play it. Armour and Steel are basic but effective. Not the strongest class but strong enough to make it to tournament finals regardless.